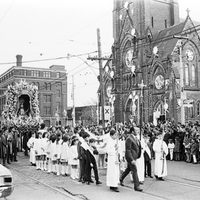 Senhor Santo Cristo procession heading down Bathurst St. 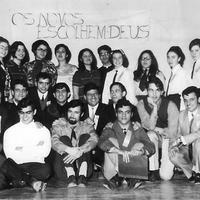 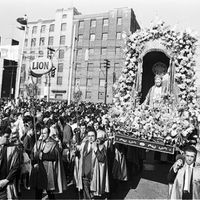 Image of a large crowd of people ; focus on men carrying a statuette of Christ. 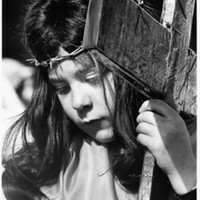 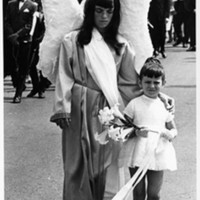 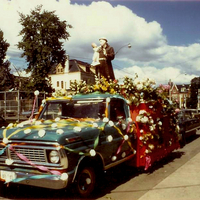 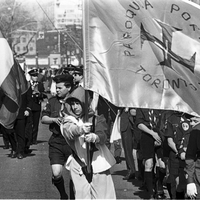 Image of a child bearing a flag of the Portuguese Parish of Toronto in a street parade. 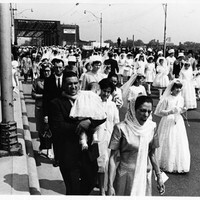 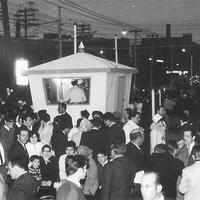 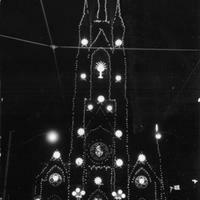 Senhor Santo Cristo procession on Bathurst St.